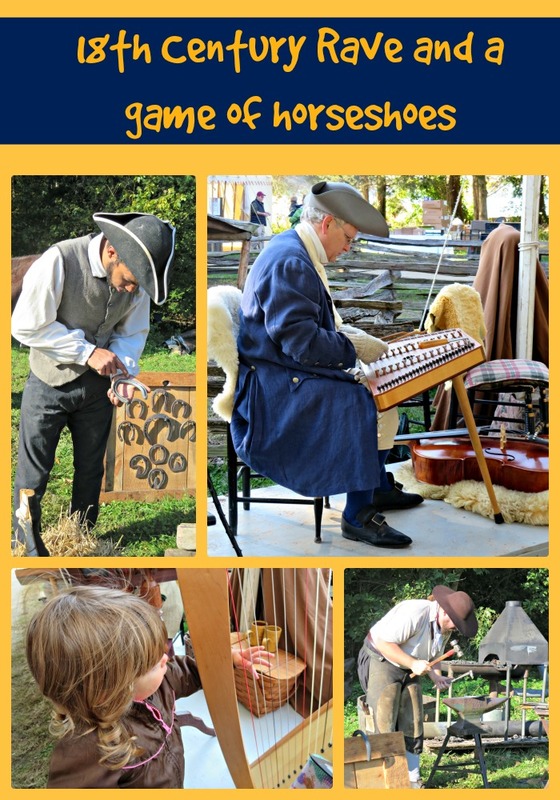 One of the great advantages of living in the shadow of the nation’s capital is that there are a number of unique family activities that are not only fun, but highlight the history of America. 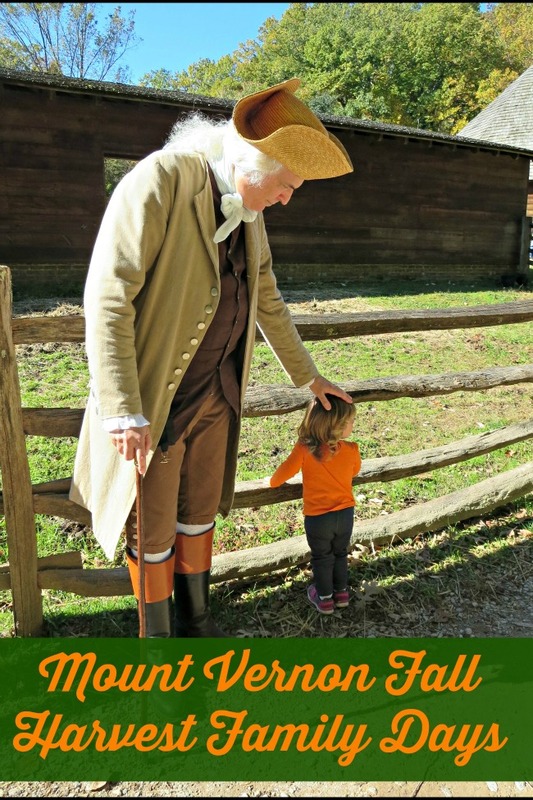 Mount Vernon, the home of George Washington, is a great living history museum located in Alexandria, VA. Now, I have no doubt that when she is old enough to appreciate it, we will take Sweet Pea on a tour of the mansion. However, I am not a masochist. 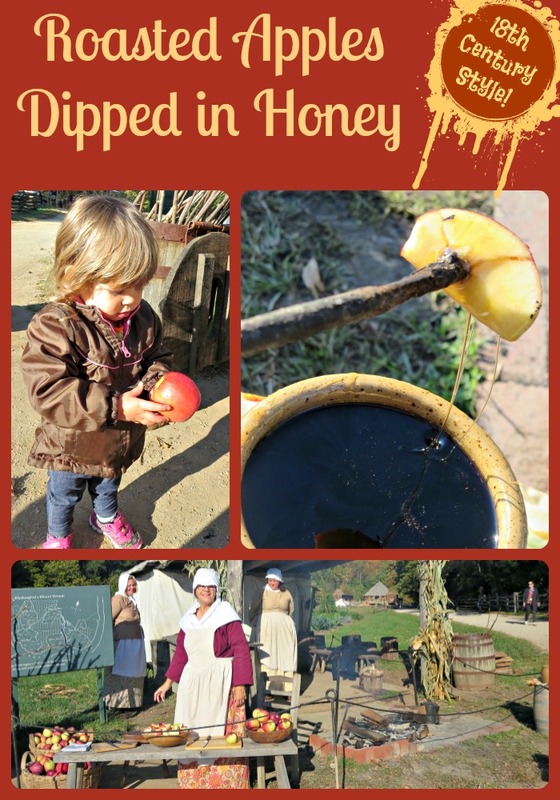 Corralling an active 2-year old during a tour of a mansion filled with historical artifacts is not an item on my ‘must-do’ list. Fortunately, Mount Vernon has activities throughout the year designed for families with young children. 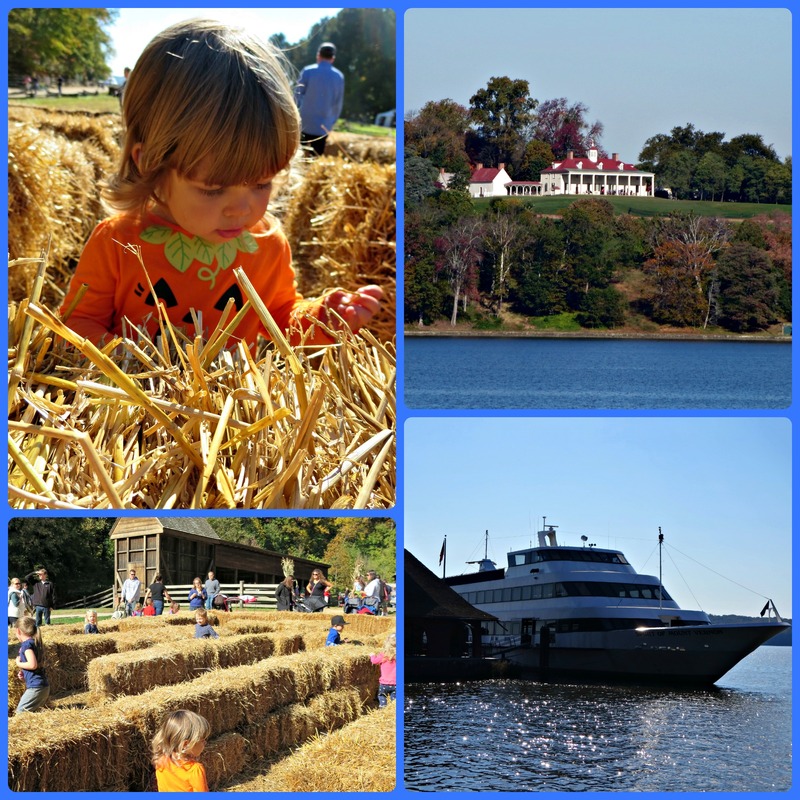 The Fall Harvest Family Day is one such activity.